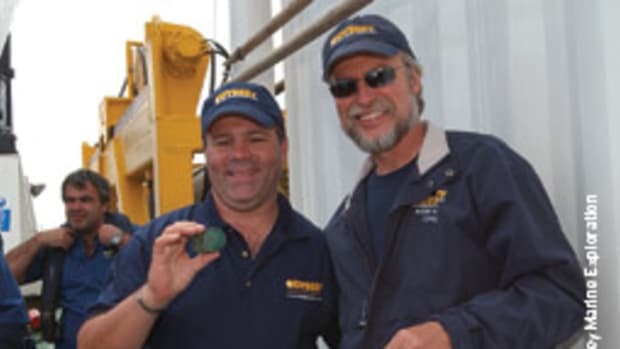 The last few months have been an exciting time for treasure hunters and fans of historic wrecks, as the oceans yielded surprising secrets. Three of the most interesting are the 15th-century Hanneke Wrome in Finland, the Spanish Armada ship La Juliana in Ireland and the polar explorer Maud in Canada. The stormy North Atlantic swallowed up 26 Spanish warships along Ireland’s rugged northwest coast in 1588, and now the seas are coughing up the wreckage of one of those ships after two years of severe winter storms uncovered her remains. Off Streedagh Strand in County Sligo, archaeologists this summer recovered six bronze cannons, a gun carriage wheel, a copper ship’s cauldron and a number of smaller items from the La Juliana, an 860-ton Sicilian merchant ship that had been requisitioned for the Spanish Armada in Palermo, Italy, in 1586. 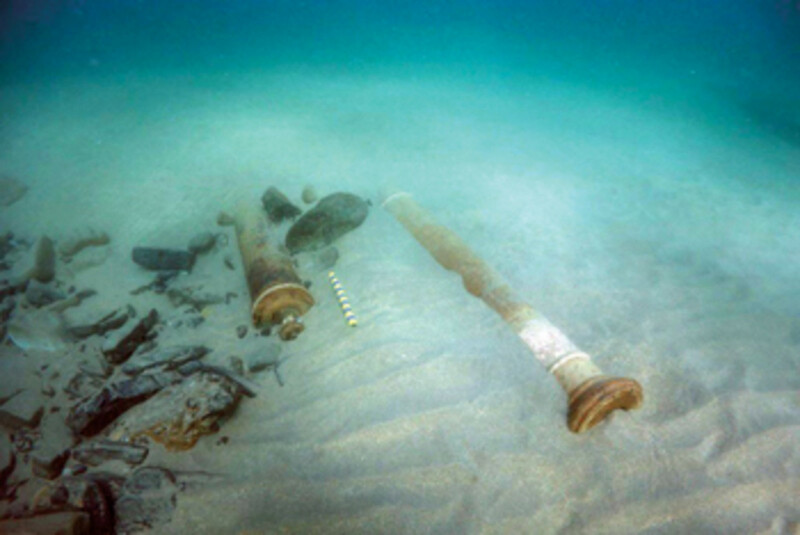 Remnants of what had set out from Spain as a 129-ship armada, La Juliana and two other traders-turned-warships — the Santa Maria de Visión, from Dubrovnik, and La Lavia, a Venetian merchantman — had been anchored for four days in Donegal Bay when a powerful storm trapped them, preventing a dash for the sea and driving them onto rocks a half-mile offshore, where they broke up. A thousand sailors and soldiers perished. The few survivors who made it to shore were beset by locals and stripped of their clothes and other belongings. Sir Richard Bingham, governor of Connacht, acting on the instructions of the British crown to dispatch “without mercy” any Spaniard who landed on British soil, ordered his soldiers to kill 140 of the survivors, Irish historian Hiram Morgan wrote of the Streedagh wrecks in the Irish Times this spring. Bingham reported that before his troops arrived, other survivors escaped the beach and made their way to County Leitrim, where they found protection under the chieftain Brian O’Rourke. Among the 100 or so Spaniards who made it back to Spain, presumably with the assistance of Irish Catholic sympathizers, was Capt. Francisco de Cuellar, who, though unable to swim, made it to shore clinging to a hatch cover. De Cuellar, who left an account of his adventures, led a charmed life. Relieved of his command and imprisoned on La Lavia for disobeying orders early in the armada’s campaign, de Cuellar escaped execution through the good offices of Martin De Aranda, the armada’s judge advocate general, who drowned at Streedagh. Divers discovered the Streedagh wrecks lying in 65 feet about 550 yards off the strand in 1985. They salvaged three small cannons but left larger artifacts in place, believing they would be protected. 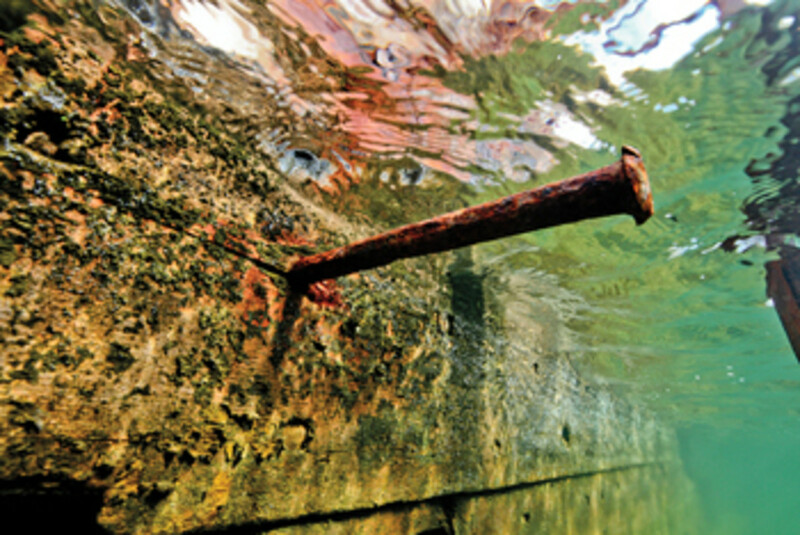 In the summer of 2013, a 20-foot section of rudder from the wrecks washed onto the strand, and this past February stormy weather dislodged large timbers and deposited them ashore. More recently, a cannonball washed up on the beach. Morgan believes that sea rise may be threatening the wrecks. “The increasing force of the Atlantic storm surge and the resultant coastal erosion, both brought about by climate change, are clearly in the process of disturbing and possibly breaking up the underwater site,” he writes. He says all three had been protected by a layer of sand, but winter storms have uncovered parts of the wrecks, causing them to break apart. 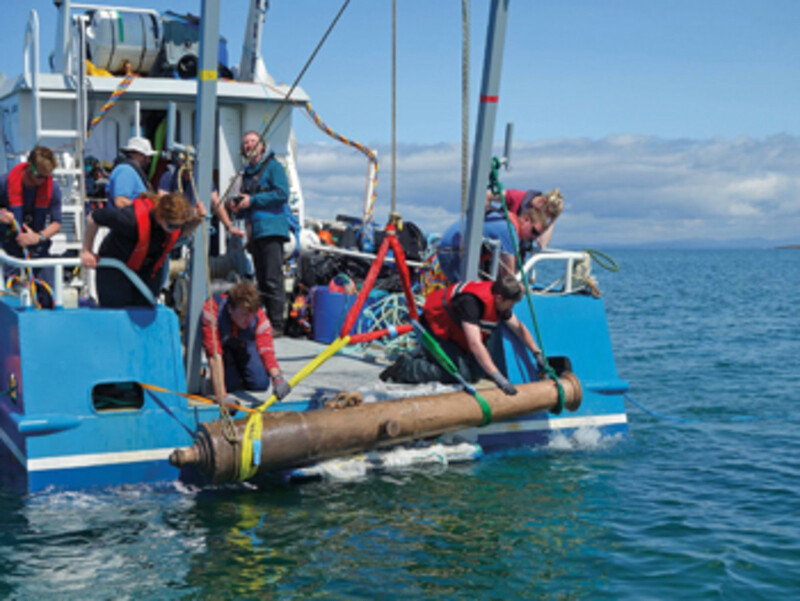 In June and July, divers from the Underwater Archaeology Unit of Ireland’s National Monuments Service performed a survey of the site, which showed that La Juliana was more exposed than it has been in the last 30 years. O’Gorman says the UAU has completed its work. A local diving club will continue to monitor the wrecks. The demise of the Spanish Armada, which often has been attributed to the superior ship design, heroism and seamanship of the English, was more likely attributable to “bad luck, bad tactics and bad weather,” says British historian Robert Hutchinson, author of the 2014 release The Spanish Armada. 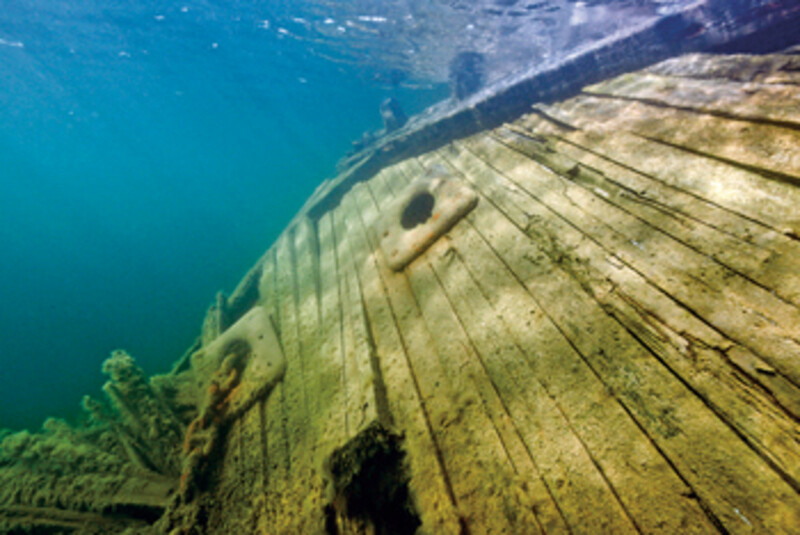 The Baltic Sea is believed to have yielded one of its storied treasures, the wreck of the Hanneke Wrome, discovered just south of the island of Jussarö in Finland. 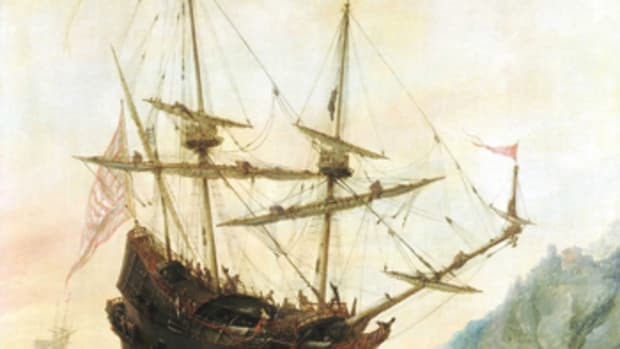 Hanneke Wrome, which sank in a storm Nov. 20, 1468, was carrying 240 passengers, 1,200 barrels of honey, 200 parcels of fabric and 10,000 gold guilders and jewelry valued today at more than $150 million. All of the passengers and crew were lost. The sinking was a major disaster, comparable in its time to the sinking of the Titanic (in 1912 with more than 1,500 lives lost) and the Estonia (in 1994 with 852 dead), says Rauno Koivusaari, the Finnish archaeologist and diver who led the team that found the wreck in May off the Ekenos Archipelago, about 10 miles south of Raseborg. Koivusaari, in his blog, says some Finnish churches to this day have “votive models” of the ship to remember the tragedy, and one, Karis Church, was named for Kaarina Jöns, wife of the lord of Raseborg Castle, who perished aboard the ship with their son Vilfred. 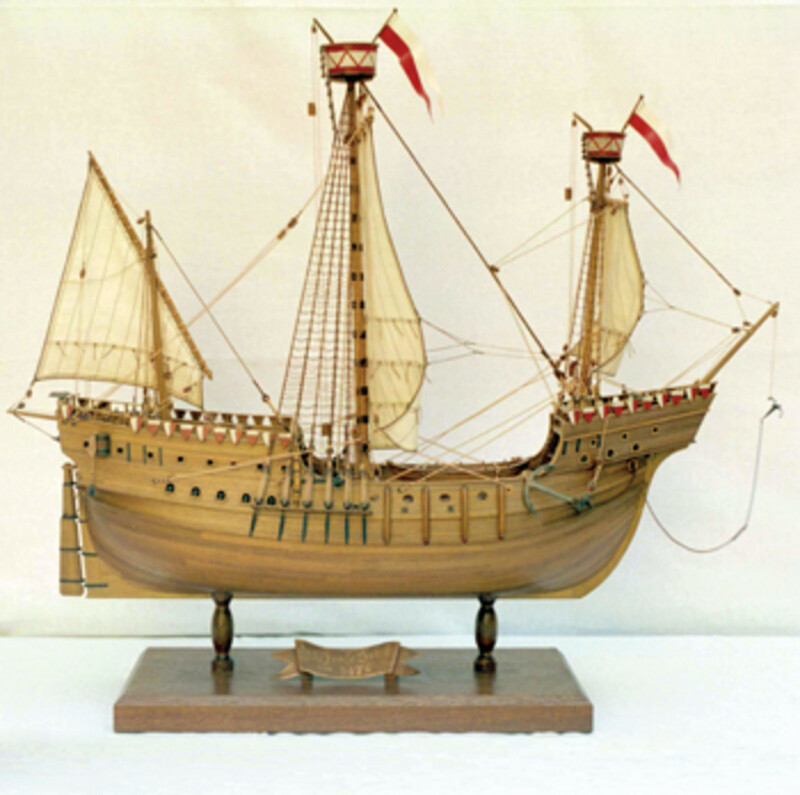 Hanneke Wrome, notable for its size at 130 feet, was fully laden with passengers and goods for its voyage from Luebeck, Germany, to Tallinn, Estonia — both cities members of the Hanseatic League, a mercantile and military alliance of Northern European cities that dominated trade on the Baltic and North seas. 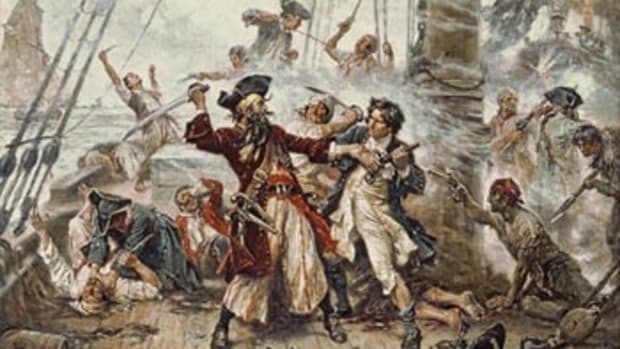 Koivusaari says the league’s carriers were in constant danger of attack by pirates or the Danish king, who was terrorizing the Baltic with his warships in a contest with the Kingdom of Sweden (and Finland) for dominance of the region. Yet it was neither pirates nor warships but a powerful fall storm that took Hanneke Wrome. For protection, four ships, including Hanneke Wrome, set sail in convoy from Luebeck on Nov. 11 with armed detachments aboard — near the end of the sailing season, when marauders were less likely to be at sea. Two of the ships parted company off Sweden to put in at Stockholm, while Hanneke Wrome and the fourth ship continued to Tallinn. Koivusaari says the ships were just 10 miles from their destination when a storm blew in on the night of Nov. 20, with violent winds from the east — an unusual direction for the Baltic — that forced the ships to change course toward the Finnish coast. As the storm continued through the night, the Hanneke Wrome, the “other ship — the better one — suddenly fell and drowned in a very short moment like the blinking of an eye,” Koivusaari writes. “It disappeared inside the waves with crew and all.” The fourth ship “miraculously survived with God’s help,” accounts of the day said, and managed to arrive in Tallinn. Among the lost: the lord of Raseborg’s family, their bodyguards, a number of burghers and their sons, and members of prominent aristocratic families, Koivusaari says. Locals were finding debris and cargo from the wreck on beaches for years after the storm. Shortly after the ship sank, six peasants were caught selling salvage from the Hanneke Wrome at a regional market and were sent to the Raseborg Castle dungeon to languish, Koivusaari says. The Finnish archaeologist, who dove on the site with a team from Finland, Sweden and Chile, says he put together several pieces to solve the puzzle of the wreck’s location. First he reconciled the conflict between archival materials, one putting the Hanneke Wrome at a distance of 10 units of distance from Tallinn, the other 14, when it sank. Koivusaari determined that the documents referred to two different units of measure: 10 German miles and 14 leagues. Both measurements put the sinking at the outer rocks of Raseborg. The archives identified the spot where the ship went down as west of the Porkkala peninsula and offshore of “Raseborg Castle of Newland,” which put it around the Ekenäs Archipelago. The fact that the vessel “fell suddenly and drowned in the blink of an eye” suggested it ran aground on rocks, which led him to the rocks around Jussarö. Koivusaari has yet to find the treasure of the Hanneke Wrome, but Finland’s National Board of Antiquities has planned further investigations of the wreck, as well as dating of the wood to confirm that it is the ship Koivusaari thinks it is. Maud, the polar explorer built for Roald Amundsen’s second arctic expedition, is being raised from her icy resting place of 84 years off Cambridge Bay in Nunavut, Canada, and returned to the Norwegian town where she was launched almost 100 years ago. Named for Queen Maud of Norway, the hull of the sturdy oak-built 120-foot three-masted schooner was to be refloated with air bags this summer, transferred to a submersible pontoon barge, then towed — likely in the summer of 2016 — 4,200 miles across the Atlantic to Vollen on the Oslo Fjord on Norway’s south coast. Depending upon weather, the delivery should take about 35 days at 5 knots. Maud’s recovery has taken a boatload of patience. “To sit and watch ice melt can be quite a challenge for a bunch of eager, restless Norwegians, but as days pass by we end up filling our time with this and that needing our attention,” says expedition leader Jan Wanggaard on the project website, last year waiting for ice to melt so the 50-year-old tug Tandberg Polar could motor through the Northeast Passage to Cambridge Bay with its barge, Jensen, in tow. The tug and barge wintered in Cambridge Bay, once the site of a Hudson Bay trading post and now a popular stopover for passenger and research vessels traversing the Arctic Ocean’s Northeast and Northwest passages. Temperatures there drop to minus-40 C in the winter. Wanggaard this past July again was impatiently waiting for the ice to melt to begin the salvage. “Barge Jensen and tug TP are still held in the grip of the ice, but things [should] happen fast now in the next coming weeks,” he reported. 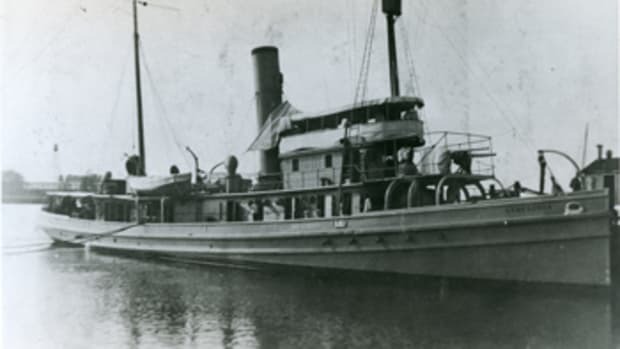 Dubbed the “Maud Returns Home” project, it will move the wreck to Vollen as the centerpiece of a museum celebrating Amundsen’s ambitious plan to freeze a vessel in the ice pack north of the Bering Strait and let it drift with the ice across the Arctic Ocean and North Pole while gathering meteorological, geophysical and oceanographic data. Maud departed Norway in July 1918 and made its way to the Siberian coast, where it remained icebound for three years. It managed to gather important data but never achieved its goal of drifting across the North Pole. In August 1921 the ship put in at Seattle for a refit and preparation for another attempt, which also proved fruitless. In 1922 and 1923, Maud again was locked in the ice and drifted northwest to the New Siberian Islands. Once released, it headed east under its own power, but, again, the expedition spent the 1924-25 winter icebound, returning to Nome, Alaska, in August 1925 without making the North Pole. Meanwhile, Amundsen had gone bankrupt, and that same year the ship was arrested in Seattle and sold to the Hudson Bay Co. Moved to Cambridge Bay, it spent a few years as a floating machine shop, warehouse and wireless radio station before developing a breach in 1931 and sinking in near-shore shallows, where it could be seen resting on the bottom, its timber topsides breaking the surface. The Norwegians have planned to raise the ship and bring it home in a tribute to Amundsen since 1990, when they bought the wreck from Hudson Bay for $1, but there was no money at the time to return it to Norway. 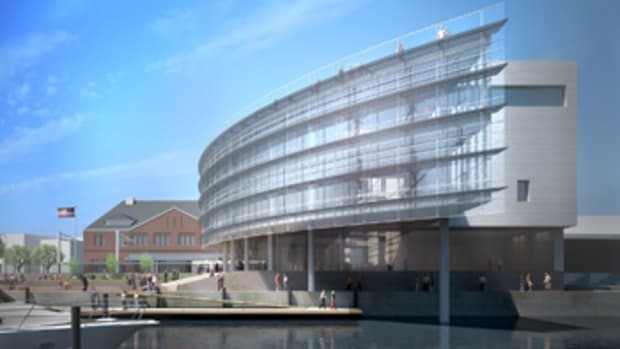 Norwegian developer Espen Tandberg and his brothers are underwriting the present salvage and delivery as part of a waterfront development plan for Vollen. 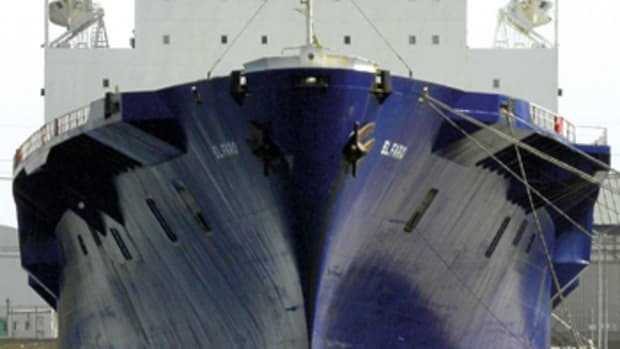 That plan stalled in 2011 when Canada withdrew the export permit for the wreck in response to protests from locals in Nunavut who wanted to keep the ship as a tourist attraction. 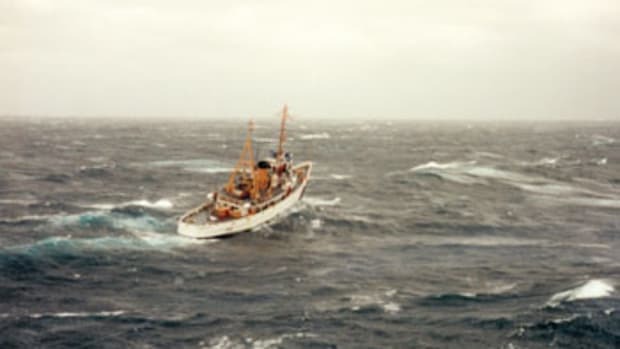 In March 2012 the Canadian government reversed its decision after no Canadian offered a plan to save Maud, which cleared the way for the Norwegian salvage. 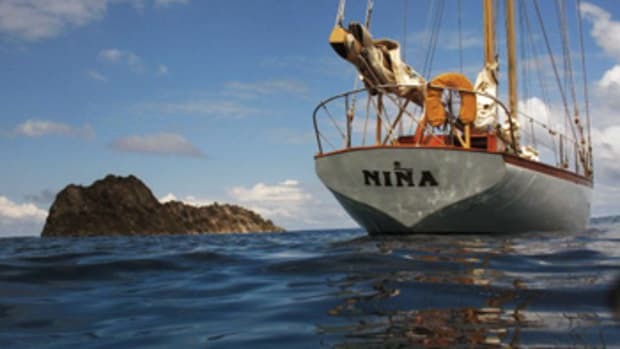 Amundsen commissioned Christian Jensen, one of Norway’s premier wooden boatbuilders, to design and build Maud. It would replace the Colin Archer-designed Fram, Amundsen’s 1910-12 Antarctic expedition vessel, which was riven with dry rot. Maud was smaller than Fram by about 8 feet, beamier by 4 feet, drew less (13 feet to Fram’s 19) and would have the “greatest possible fullness forward and slimness astern,” all to better resist the “violent packing of the ice” and deliver the “best polar ship in the world,” Jensen wrote in a 1919 account of Maud’s design and construction. Amundsen also wanted Maud to be lighter than Fram by about 20 tons. Fram was built with three layers of sheathing — two of oak and a third outside “ice sheathing” of greenheart. Maud’s hull was two layers — an inner sheathing of oak slightly thicker than Fram’s and an ice sheathing of oak from the keel to halfway up the hull and from there to the gunwales of greenheart. Maud’s salvors are considering exhibiting the polar explorer in a museum display simulating her resting place in the icy waters of Cambridge Bay.